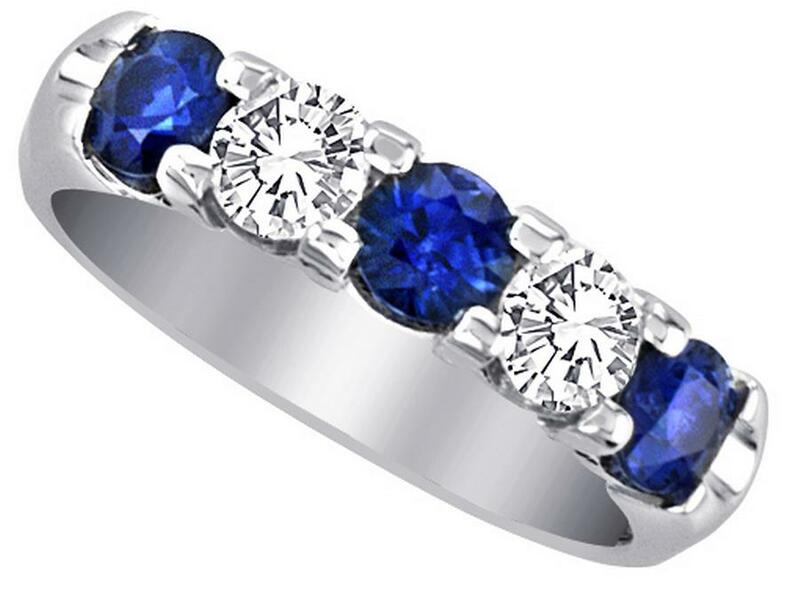 Sapphire & Diamond Shared Prong Band. This band features 3 round sapphires alternating with 2 round diamonds. This band is also available in rubies and emeralds.